Divorce is a stressful event for any couple and chances are, whether you've been married a year, or thirty years you will likely suffer from some stress in the initial phases of your divorce. Often times, the stress trickles down and the whole family feels the effect of divorce. If you've been married for a short period of time and do not have children, many couples will seek what is referred to as a "simplified" divorce, but if you've spent a good portion of your life with your spouse, divorcing becomes more complicated. Seeking the services of a Tampa divorce lawyer who is experienced in the areas of filing for temporary relief, alimony, child support and high net worth divorces is generally recommended. Although you may wish to settle your case without litigation, often times spouses will make emotionally charged divorce settlement agreements without seeking the advice of an experienced Tampa divorce attorney. This may not be in the best interest of all parties and your family as a whole. The main focus of a couple who is divorcing generally boils down to distribution of assets and if you have children, custody, child support and sometimes alimony. Child support will likely play a huge role and the primary caregiver will generally be awarded child support, based on the child support guidelines by the State of Florida. Ultimately, it is always in the best interest of your family to work together to reach an agreement that is in the best interest of both spouses as well as the children. Often times emotional turmoil may initially hinder the parties from reaching a divorce settlement agreement. Equitable distribution of assets, child support, custody and alimony (if applicable) must be agreed upon. When agreement cannot be reached between parties, you will require the assistance of an aggressive divorce lawyer to litigate these matters in family court. It is my goal to help my clients to achieve the very best outcome for the whole family, while defending my clients' best interests in their divorce settlement. Having over 19 years of experience as a Tampa divorce lawyer, you can be sure that my approach will be to help you to reach the very best divorce settlement for your future, and the future of your family. If you are looking for a Tampa divorce attorney who is aggressive, compassionate and who specializes in family law services in Tampa bay, please contact me for a consultation. I am a top rated AVVO divorce lawyer in Tampa bay who can handle any divorce case in Hillsborough, Pasco or Pinellas County. Let me show you how to protect your assets in a divorce while keeping your family at the forefront during your divorce. 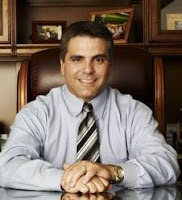 If you are in need of a divorce lawyer in Tampa who can assist you with obtaining temporary relief before your case is resolved, please contact me promptly for assistance at (813) 879-4600.
http://www.divorcelawyer-tampa.com or read our blog at http://www.divorce-lawyer-tampa.net. Nilo J. Sanchez & Associates is an experienced divorce attorney in Tampa who can assist you with your divorce including matters of alimony. With five different types of alimony that can be considered by the courts, determining which type of alimony, if any will be awarded is dependent on many factors. The length of marriage, whether it has been a moderate-term marriage or a long-term marriage of 7 to 17 years or longer. Spousal support or alimony is often times awarded to one spouse or another by a Florida court when a marriage has been irrevocably broken and divorce ensues. Temporary alimony pending a divorce settlement can be awarded and may continue after the divorce. Generally, courts will determine whether or not there is a need for alimony, and will take into consideration the other party's ability to pay. For detailed information on the types of alimony that can be awarded in Florida and what each means, visit http://www.divorcelawyer-tampa.com/alimony-attorney-Tampa-Florida.htm or schedule an appointment with Mr. Sanchez at Nilo J. Sanchez & Associates, Tampa, Florida for a review of your case. As a compassionate, aggressive divorce lawyer in Tampa for nearly 20 years, Mr. Sanchez will go over every aspect of your divorce case, including alimony, child support and timesharing and has extensive experience with high net worth divorce cases. The alimony statute is Florida Statute section 61.08. Because alimony is handled differently from child support, predicting how much you may have to pay or how much alimony you would receive is unlikely. The courts would decide this based on several factors but as an aggressive, high rated Tampa AVVO family law attorney and divorce lawyer who has practiced in Tampa bay for nearly two decades, I have litigated many cases involving alimony. Contact me directly to schedule a consultation where we can discuss which factors the courts are most likely to consider in your individual case. Often times coming to an alimony settlement agreement between the two parties yields the best overall results and I work aggressively to achieve the best possible results for my clients. Divorce is a difficult and life changing event for your family especially when a long-term marriage is ending in divorce. Often times emotions will interfere with what is best for your future as a single person. Your standard of living will be taken into consideration, as well as your health, age, earning ability and other factors which may be taken into consideration. It is wise to consult with a Tampa divorce attorney to assist you with your divorce and alimony case. Sometimes just "settling" with the other party ends up in regret, and it can be more difficult to modify an alimony agreement and it is preferable to enter into to a fair settlement at the time of your divorce. Contact Nilo J. Sanchez & Associates in Tampa, Florida by calling (813) 879-4600 or visiting our website at http://www.divorcelawyer-tampa.com. Click To view our AVVO rating as a Tampa Divorce Lawyer and to read our reviews.